The charter yacht Paradigm Shift, a 50-foot St Francis catamaran, is heading up to New England for summer charters. Join Paradigm Shift for a fascinating tour of the lovely harbors of Edgartown, Nantucket and Newport, grab a fresh-caught lobster at the fisherman’s wharf on Cuttyhunk, take an evening stroll on the miles of secluded beaches on Martha’s Vineyard. Paradigm Shift will be available for charter in the British Virgin Islands this winter, starting in November. Crewed Charter for 7 nights, 8 days. Embark/Disembark from Newport Harbor (alternate harbors available upon request) bound for Cuttyhunk, Martha’s Vineyard, Nantucket, Chatham, Falmouth or Woods Hole based on guests preference. See half-board special offer below. See special offer for families below. Full Board Charters: Standard beverages include soda, RO water (chlorine free), coffee, tea, local beer, white & red wine and house rum & mixers. Any special request for premium alcohol or specialty food can be forwarded to us and we will procure them at our cost as an additional charge. All meals are included and are made from scratch when possible, fresh bread is baked on board. Guests can head ashore for dinner or lunch during the charter at their discretion. Guests are required to have 2 lunches and 3 dinners ashore, but all other charter expenses are included. Ports: Available all New England up to and including Maine. $500 OFF for each child 10 years old or younger, maximum 2 children per charter. Excludes New Years but is valid for Christmas. 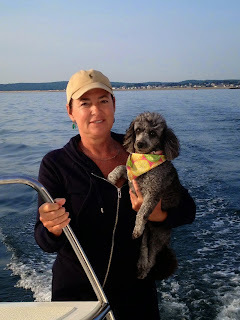 The charter yacht Paradigm Shift is a 50-foot St Francis catamaran owner-operated by a crew of two, Steven & Bonnie Carrol, plus their small dog Tabasco, a 10-pound Bichon Frieze/Toy Poodle mix. Paradigm Shift is fully air conditioned and accommodates up to 6 guests in 3 cabins (1 Queen, 2 Doubles) each with ensuite head/shower. The large cockpit is comfortable for lounging and alfresco dining. The cockpit may be fully enclosed for all-weather comfort. They have a 12-foot dinghy with 20HP motor, tube, 2 one-person kayaks, 2 standup paddleboards (SUP's), snorkel gear, floating mats, underwater camera & video, fishing gear includes 2 Ugly stick rod/reels and 2 Stinson rod/reels, beach games, squirt guns, hammock, TV/DVD in salon, etc. There are multiple itinerary options for charters commencing from The Placencia Resort and Marina in Belize. Dreaming On has prepared two sample itineraries for our purusal. All of Dreaming On’s itineraries include great diving opportunities. We can arrange Rendezvous Diving on request with local, professional dive organisations for any divers on board. Diving with a local dive organization, whose Dive Masters dive these waters every day, ensures that our guests enjoy the best possible diving experience. Day 1 – Depart The Placencia Marina on a reach to Rendezvous Island. Great place to snorkel and anchor for the first night. Day 2 – Sail up the inner channel to Blue Ground Range. Then work our way east through patch reefs to anchor for the night just inside the barrier reef at South Water Cay. Great snorkeling and rendezvous diving opportunities here as well as just north at Tobacco Cay and near Carrie Bow Cay. This is all part of the Belize Marine Reserve. There are three restaurants on the cay. 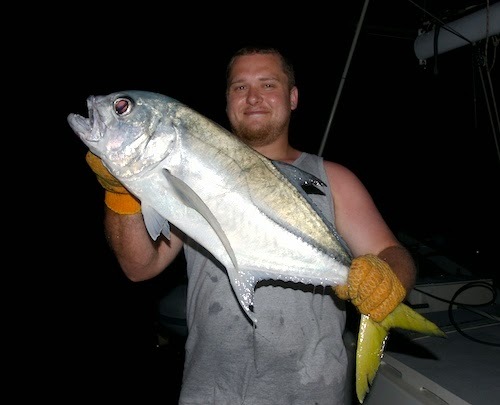 Guides can also be arranged for flats fishing. Day 3 – Through the cut in the barrier reef for a down wind sail along the reef to Gladden Cut. 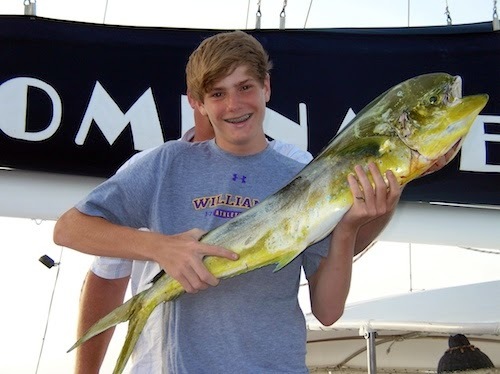 Fish along the way for a chance to catch Mahi Mahi, Wahoo or Tuna. Anchor inside the reef at Gladden Cut. 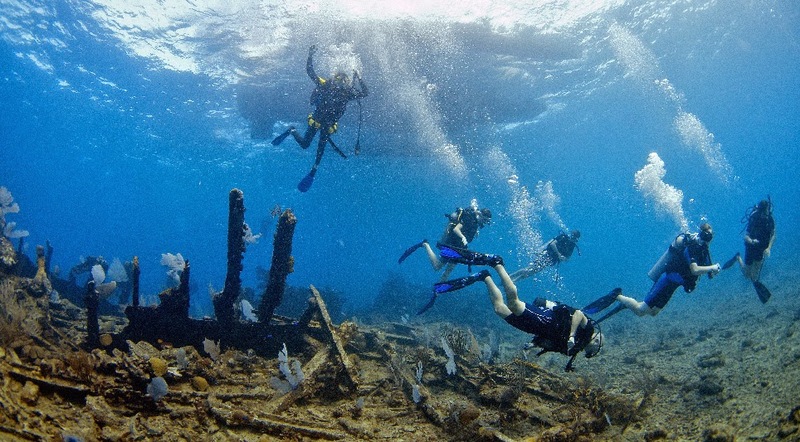 Day 4 – Sail to Ranguana Cay where there is more snorkeling and an opportunity for a rendezvous dive. Day 6 – A day exploring the local cays with some more snorkeling. Day 7 – After a morning snorkel or rendezvous dive we can sail to Placencia Village where guests can go ashore and experience a bit of village life. Placencia’s famous “Main Road” is a 3 foot wide concrete path meandering through the sand, passing lots of little local shops and restaurants . A few minutes spent on this “Road” and you will probably meet everyone in Placencia! For the period 1st November to 16 December 2015, Dreaming On will reimburse guests for 2 adult air tickets for the sector Belize City to Placencia and return to a maximum total value of $500 on any 4-guestm 2-cabin charter. For an all-inclusive Christmas 2015 charter commencing after 16 December 2015, Dreaming On will reimburse guests for 3 adult air tickets for the sector Belize City to Placencia and return to a maximum value of $750. Christmas charters have a flat fee for up to 6 guests: $17,000/week. 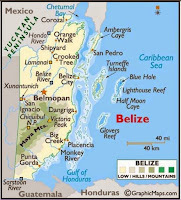 For more information about Dreaming On and Belize, Click Here. Dreaming On is equipped with plenty of water toys to keep everyone entertained. Toys include: 13-foot center console dinghy with 30hp outboard, snorkel gear, waterskis, kneeboard, stand up paddle board (SUP), windsurfer, tube, wake board, two one-person kayaks, floating mats, beach games, fishing gear, double hammock, beanbag chairs, and even a floating island! Day 1 ‐ Depart The Placencia Resort & Marina sailing North up the inner channel to Blue Ground Range. Then work our way east through patch reefs to anchor for the night just inside the barrier reef at South Water Cay. Great snorkeling and rendezvous diving opportunities here as well as just north at Tobacco Cay and near Carrie Bow Cay. This is all part of the Belize Marine Reserve. There are three restaurants on the cay. Guides can also be arranged for flats fishing. Day 2 - Through the South Water Cut and set sail to Turneffe Atoll. There is good snorkeling here and exploring the waterways throughout Turneffe with a dinghy or kayak is very interesting. Days 3 to 6 - We continue on to Lighthouse Reef and drop anchor on the west side of Long Cay. Arriving at Lighthouse Reef early in the week will allow us to spend up to 3 days at this amazing atoll. Take advantage of the fabulous rendezvous diving opportunities along the Lighthouse Wall. Advance divers can arrange to dive the Blue Hole. Another option is to take a shore excursion to Halfmoon Cay to see the Bird Sanctuary. The wall at Halfmoon Cay also offers beautiful diving. Day 7 ‐ A downwind sail from Lighthouse to the Barrier Reef. Anchor just inside the reef at Tobacco Cay. Day 8 - Our final morning will be a sail back to The Placencia Marina. 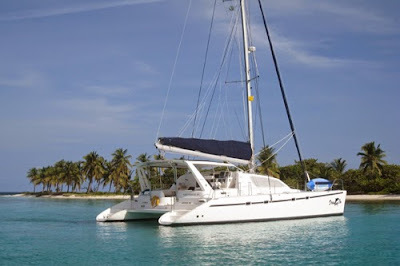 After several years of chartering in the Virgin Islands, catamaran Dreaming On is moving to Belize. Their plan is to leave the BVI in the first week of June 2015, make their way through The Turks & Caicos and Bahamas, and then arrive in Fort Lauderdale, Florida in mid-July. 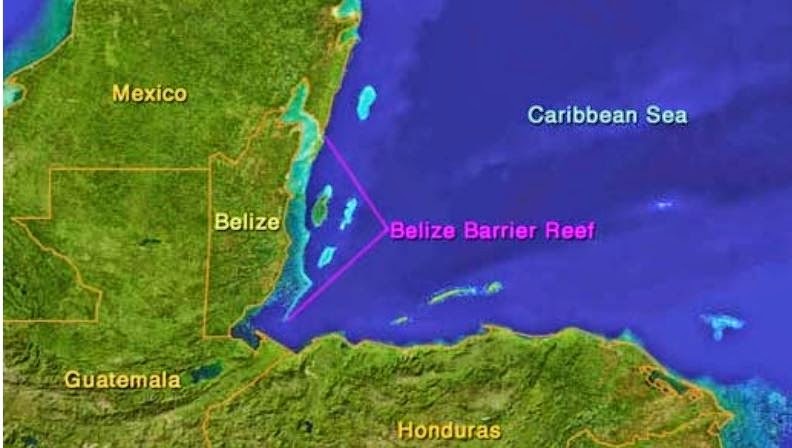 They will head down to the Florida Keys and towards Belize, by way of the Yucatan Channel, to arrive in Belize, weather permitting, in early August. Dreaming On's Belize charter calendar is open from 1st November 2015 and they already have their first Belize charter booking for the week of New Year 2015/2016, plus options on a couple of other weeks in 2016. As soon as Geoff and Iza arrive in August, they will be out there searching for those special places that offer outstanding scenery and snorkeling. They promise to take photos both above and under the water and, of course, fly their Phantom drone for some outstanding aerial footage. We will keep you posted – stay tuned and follow our blog. 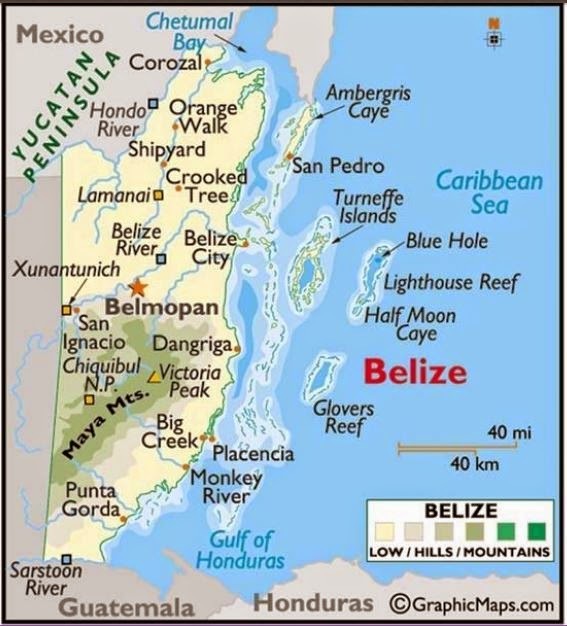 There are regular scheduled flights into Belize City from Houston, Dallas, Atlanta and Miami, with United, American Airways and Delta, then a short local flight from Belize City to Placencia. The airport at Placencia is being expanded to international status and we are advised that Jet Blue and Spirit will be flying into Placencia Airport by the end of 2015. We will keep you updated on this as information becomes available. Dreaming On's base will be at The Placencia Resort Marina, at Stann Creek, just north of Placencia. The Placencia is the perfect location to enable us to offer a wide choice of attractive itineraries to suit all tastes and charters of varying lengths. The charter yacht Promenade, a 65-foot Nigel Irens-designed trimaran, has scheduled a great 10/11-night sailing in the British Virgin Islands for next February 2016. This charter week is available for individual cabin bookings and is a wonderful opportunity for two people to sail aboard Promenade without having to get a large group of friends together for a private charter. Promenade is a large yacht. Here are 7 guests sitting on half of the cabin top. There is also the other side, the forward trampolines, the full-width cockpit and the aft deck... Plus the large body of water Promenade is floating in. Promenade has been offering this annual all-inclusive, cabin-only charter for many years at a prime time slot in the British Virgin Islands and usually sells out quite quickly! Promenade is fully equipped and has ample charter toys and activities available on board this large spacious yacht. SLEEP ABOARD: Guests are welcome to a free "sleep aboard" on the evening of Sunday, February 14th (Valentine's Day!). CABIN CRUISE: The 10-night sailing will start on the morning of February 15th and finish by noon on February 25th. PRICE: $6000/cabin, double occupancy (i.e. $3000/person). If you are a single person, you may book a cabin to yourself, or you have the option of booking a cabin with two twin beds and share the cabin with another person for half the cabin price ($3000 for single). This will be fully crewed and inclusive of all meals and standard ship's bar (including one dive/day). 1-2 meals off the yacht at guest's expense (one lunch and one dinner ashore, plus you are responsible for your dinner ashore on the sleep aboard night). Anything you choose to purchase on land. BC & Regulator rental if needed for SCUBA at $200/diver for the entire charter. The charter yacht Promenade is a large 65-foot trimaran with a beam (width) of 35 feet, and a crew of 3. Promenade is fully air conditioned and accommodates up to 10 guests. There are five guest cabins: 2 kings and 3 queens. The king cabins may also be made up as two singles, if requested. The two forward queen cabins each have ensuite heads with showers, while the aft queen and the 2 king/twin cabins share two heads with showers. Promenade has a 15-foot dinghy with 50HP motor, waterskis for adults and kids, kneeboard, wakeboard, tube, standup paddleboard (SUP), 2-person kayak, floating chairs & loungers, snorkeling gear, fishing equipment, yoga on the beach, 40" flatscreen TV, large video library, iPod with over 5000 songs, air compressor to fill scuba tanks. Lots of toys. Internet where available. Promenade has a dive instructor and one dive/day is included. BC and regulators may be rented for $200/diver for the week or you may bring your own. Promenade is one of the very few crewed charter yachts in the BVI that has a commercial fishing license for the yacht. They carry ballyhoo and lures for trolling, a casting net for live bait, frozen squid for bottom fishing, trolling rods, bottom fishing/spinning rods, gaff hook, landing net, various lures, bottom tackle and hand lines, as well as rod holders on the aft deck. Promenade is one of our favorite yachts in the charter fleet. They do a great job and have many repeat bookings. Contact Paradise Connections to book your cabin ! Any new all-inclusive charter bookings to take place between now and July 27, 2015 at the following rates: 2 guests=$20,000 / 3-4 guests=$21,900 / 5-6guests=$23,000. 7- night minimum. Honeymoon special: $10,000/week for 2 guests. Includes a full case of house bubbly and either one resort course dive for non-certified divers or a one-tank dive for certified divers. 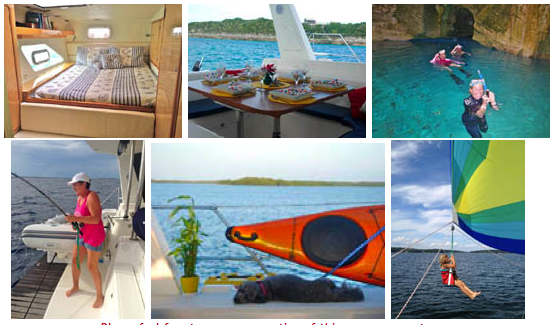 No 10% surcharge for charters of less than 6 nights. No charge for single child under 12 years of age using navigator's berth and parents' bathroom. FULLY CREWED SAIL & RESORT PACKAGE: Includes 4 glorious nights aboard Dream Ketcher followed by 3 nights at Treasure Cay Hotel Resort (Abaco, Bahamas). Accommodations at resort consist of a 2 (OR 3) level apt. with king bed(s), sleeper sofa, 2 baths, living room, terrace and complete kitchen (one bedroom suite for 2-person charter, two bedroom suite for 3-4 guests) Meals are included. Package must start with the 4 days aboard yacht. NOTE: Diving NOT provided. Subject to room availability at resort. Standard rates apply & not valid on less than 7-night charters. 2 ADULT AIR TICKETS FREE from Belize City to Placencia: For any 4-guest, 2-cabin, 7-night charter taking place between November 1 to December 16, 2015, Dreaming On will reimburse the guests for 2 adult air tickets for the sector Belize City to Placencia and return flight for a maximum total value of $500. CHRISTMAS 2015: For any Christmas charter commencing after December 16, 2015, Dreaming On will reimburse guests for 3 adult air tickets for the sector Belize City to Placencia and return to a maximum value of $750. Spring special: Take $1000 off standard rates on new bookings for Drumbeat charters taking place during April and May 2015. Valid for charters of 4 or more nights. Charters of less than 7 nights will be pro-rated. Honeymoon special: $6450/week for 2 guests. Seven-night minimum. Paradise Connections is offering a 10% discount for charters 6 nights or longer occuring within May 31 and June 22, 2015. Valid for 6 nights or more. $1000 discount for new bookings with charters taking place through August 17, 2015. Charter must be 6 nights or more. Full board special offer for new bookings made between now and August 15, 2015 (5-night minimum) and takes place by August 31, 2015: One guest sails for free on groups of 3 or more guests. Examples: 3 guests sail for the price of 2... 6 guests sail for the price of 5. 10% off any new Virgin Islands charter booking to take place and be completed by December 14, 2015. Six night minimum and cannot be combined with other special offers. $2000 discount off any new booking (minimum of 7 nights) taking place before December 14, 2015. One child age 6 years old or younger sails free. Valid for one child per charter. Honeymoon special: $150 discount off charter of 7-nights or longer, plus a bottle of champagne. $1500 discount for new bookings taking place before July 22, 2015. 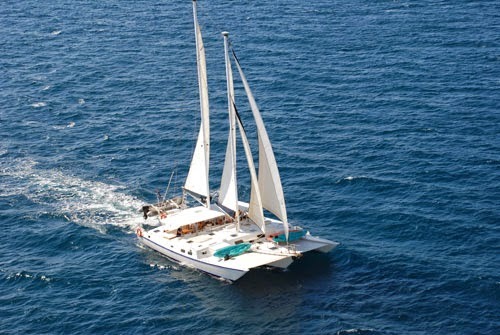 Book a 7-night, half-board, crewed yacht charter aboard Pacific Wave to take place sometime between April 11 and May 31, 2015 and save 33%. See details here. 10% discount on new bookings for charters taking place before May 31, 2015. Cannot be combine with Honeymoon & Anniversary specials. Valid for 2 guests, 7 night minimum and excludes Christmas and New Years holiday period. Honeymoon special: One spa treatment for each guest on charters of 4 nights or longer. Save $1000 on new bookings taking place in May or June 2015 for charters of 7 nights or more. $250 off/child if less than 15 years old. New Crew, Introductory Discount: Receive $1500 off standard charter rates for new bookings taking place from now through July 15, 2015. $2000 discount for new bookings with full-board charters taking place in July and August 2015. Valid for charters of 6 nights or more. Kid Discount: 50% off for one child aged 6 to 12-years old (must be able to swim). 10% off any new booking made by June 30, 2015 and taking place any time in 2015 exccept for Christmas and New Year weeks. Cannot not be combined with other offers. FREE diving, Free gear and more this summer aboard the 65-foot trimaran, PROMENADE. In conjunction with the British Virgin Island Tourist Board, the charter yacht Promenade has announced their Summer SCUBA Special for private, liveaboard dive charters for up to 10 guests in the British Virgin Islands! With a dive compressor on board, we can do as many dives as you like. This week is specifically geared toward SCUBA diving. 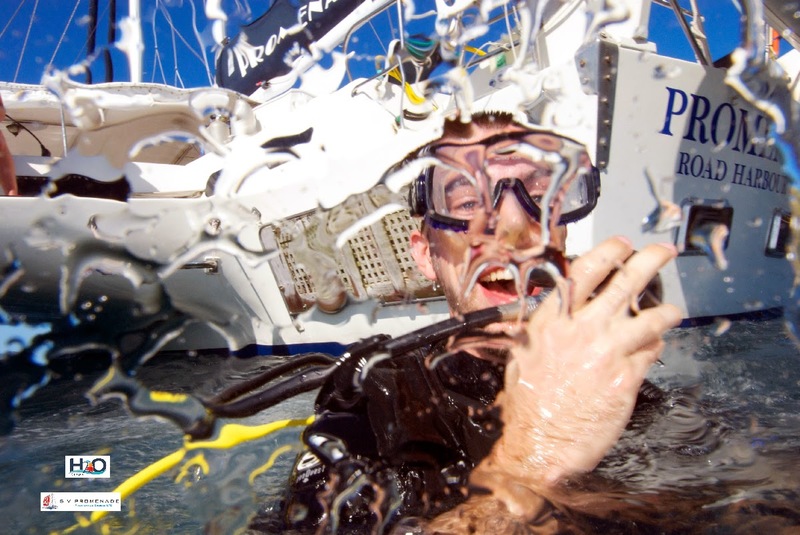 We have experienced SCUBA Instructors and Dive Masters on board. Your dives can either be with our leaders or, if you prefer, with just your buddy on your own. All our regular amenities if you get bored of SCUBA, such as fishing, kayaking, tubing, sailing, beachcombing, waterskiing, watching the stars, napping in the trampolines, hiking and exploring historical ruins on various deserted islands, visiting late afternoon beach bars, etc. Promenade is also offering complimentary RESCHEDULING of week in case of any hurricane possibility! You may still want to take out travel insurance to cover your flights. Although rare, you never know. Promenade picks up and departs from Road Harbour on the island of Tortola in the British Virgin Islands. You can fly into St Thomas in the US Virgin Islands (STT) and take a 50 minute ferry ride up to Tortola or, you can fly to San Juan in Puerto Rico (SJU) and then onwards to Beef Island in the BVIs (EIS). Boarding is generally around 12 noon, with departure being around the same time 7 nights later. 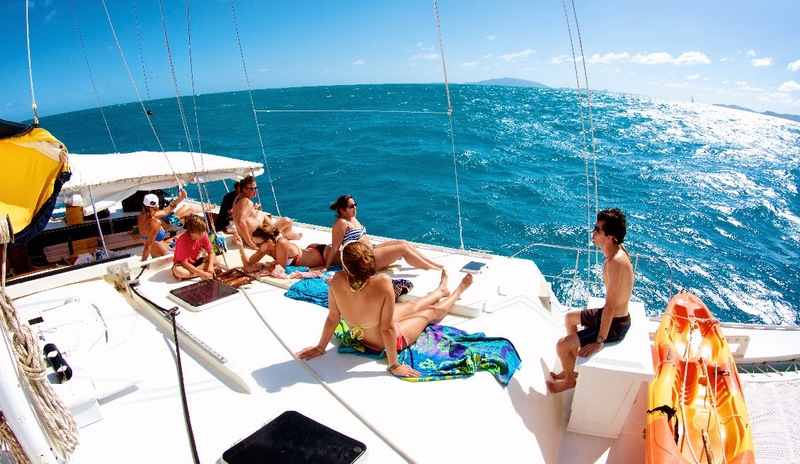 Fun, relaxation, and diving aboard Promenade in the BVIs!